HERE WE COME AGAIN !! Bodyjam® New Release 58 will be launched at Fitness First Indonesia from 24th September 2011 – 2th October 2011. 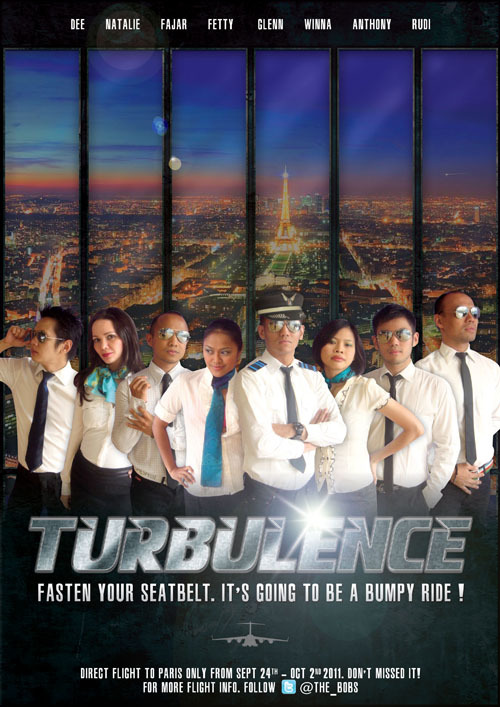 It’s TURBULENCE !! We will be your flight attendants to serve you in BODYJAM® FLIGHT BJ058. We shake down the earth with shuffling and shake up the air with turbulence while heading to the last destination, Paris. Fasten your seatbelt, it’s going to be a bumpy ride ! The Flight Attendants are gathering. Book your seat now!